Now, I want you to get your other BIG shape and then cover up your first shape with it. Move your second shape to the back. Let's use the blue square as our second shape. Click on the shape behind, and then click on 'mask'. 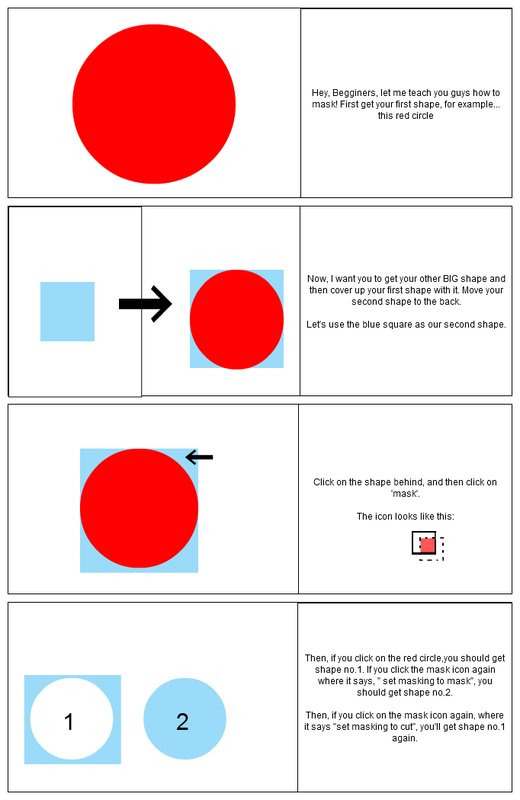 Then, if you click on the red circle,you should get shape no.1. If you click the mask icon again where it says, " set masking to mask", you should get shape no.2. Then, if you click on the mask icon again, where it says "set masking to cut", you'll get shape no.1 again.